The three new affordable LTE smartphones that were unveiled include Flare 4, Flare S4, and Flare S4 plus.These Flare series are considered to be one of the most powerful and fastest smartphones of the brand, carrying quality specs and staying within its affordable price points. 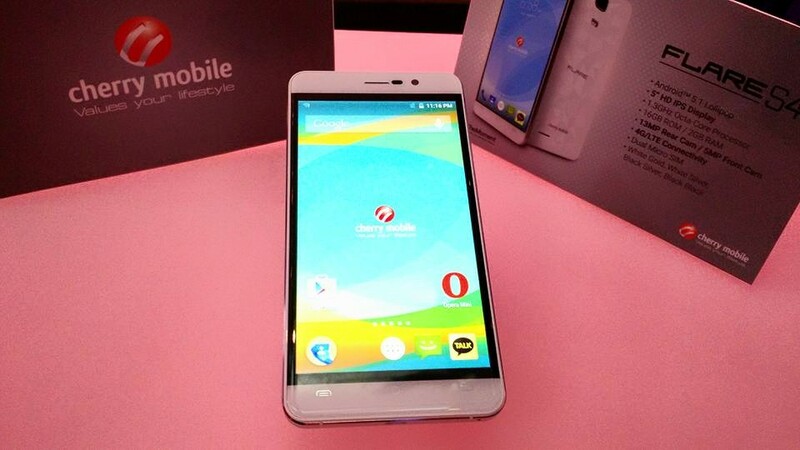 The Flare 4 and Flare S4 are running on a power-packed 1.3 GHZ Octa Core processor and standard Android Lollipop 5.1 operating system. It has 2GB of RAM piared with 16GB built-in storage allowance, which can be expanded up to 32GB via microSD card. These two new mobile devices sport with 5"HD IPS displays, with a 720x1280 HD quality resolution, giving users a quality image and graphic displays while watching videos, browsing pictures and playing games. For those who love to take photos or selfies, the Flare 4 and Flare S4 feature 13 megapixel camera and 5 megapixel front camera. These are coupled with G, Light and Proximity Sensors. Wireless date network on these devices are set to impress with their WI-FI and Bluetooth 4.0 capabilities. 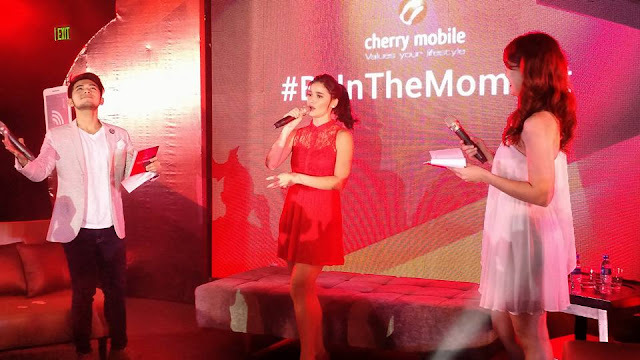 Connectivity is also impressive for these two Cherry Mobile Flare smartphones as both are LTE ready for via Dual Micro SIMs. Both prices at Php 4,999, one can choose from either the Flare 4- available in Pink, Black, white and Gold, or the Flare S4,- available in white, Gold, White Silver, Black Silver, Black Black. To complete the amazing smartphone line-up is Flare S4 Plus, which powered with 1.3 GHz Octa Core processor and standard Android Lollipop 5.1 processor. 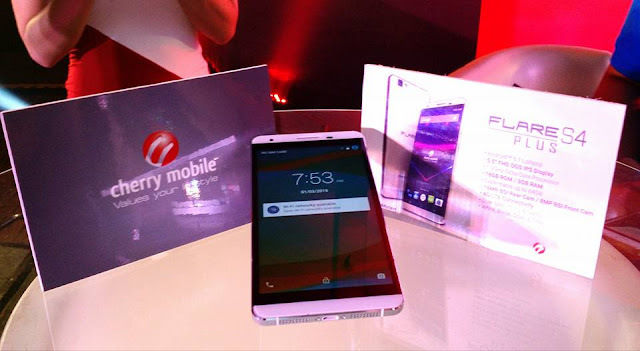 It has a remarkable 5.5 FHD displya with a 1080X1920 FHD resolution quality. 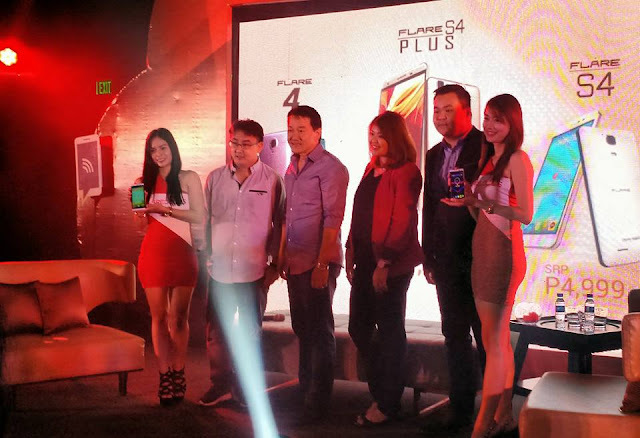 The Flare S4 Plus features 16 megapixel BSI rear camera paired with 8 megapixel front camera, which coupled with standard Light and Proximity Sensors and Accelerometer. 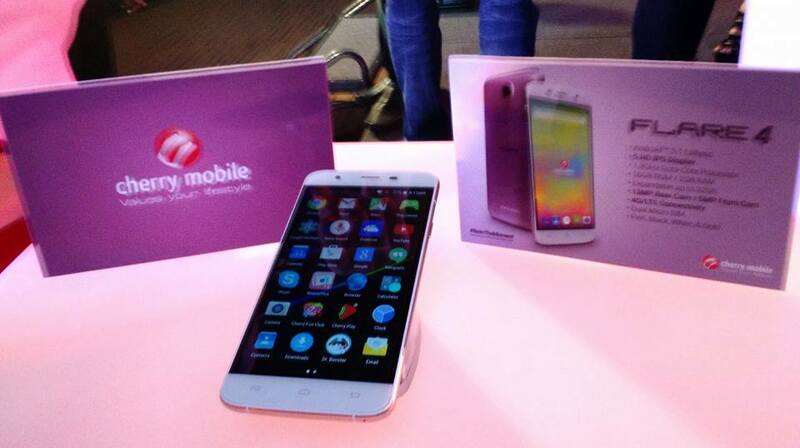 It has also an upgraded 3GB RAM, 16GB built-in storage space-which can further increased to 64GB via MicroSD card. Same specs with Flare 4 and Flare S4, the Flare S4 Plus is LTE capable device as well Bluetooth V4.0 and WIFI ready, making sure you are always connected with your family and friends. It has suggested retail price at Php 7,999, which comes in White, Black, Gold or Gray. Cherry Mobile Flare 4, Flare S4 and Flare S4 Plus will be available soon at Cherry Mobile concept stores and Kiosks nationwide. 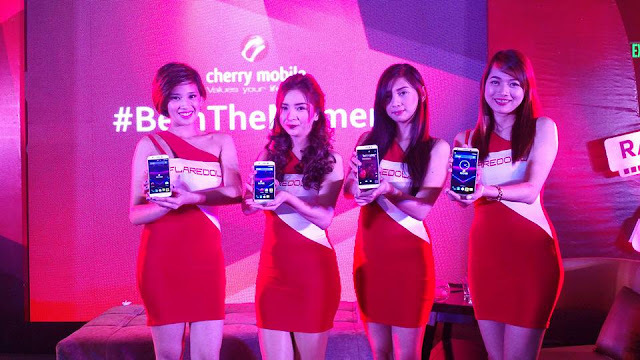 For more information about the Cherry Mobile Flare Series, its features and specifications, visit Cherry Mobile website at www.cherrymobile.com.ph or like its official Facebook page at www.facebook.com/cherrymobile.